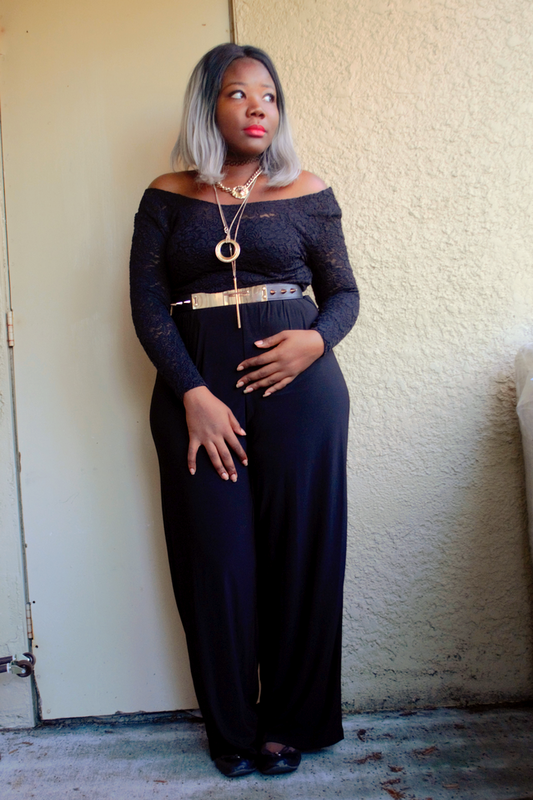 Back to the look, I used to think I would not pull of nor buy wide pants but some bloggers (like Grace and Sarah) made me fall in love with this trend and I've been wanting to give it another try. 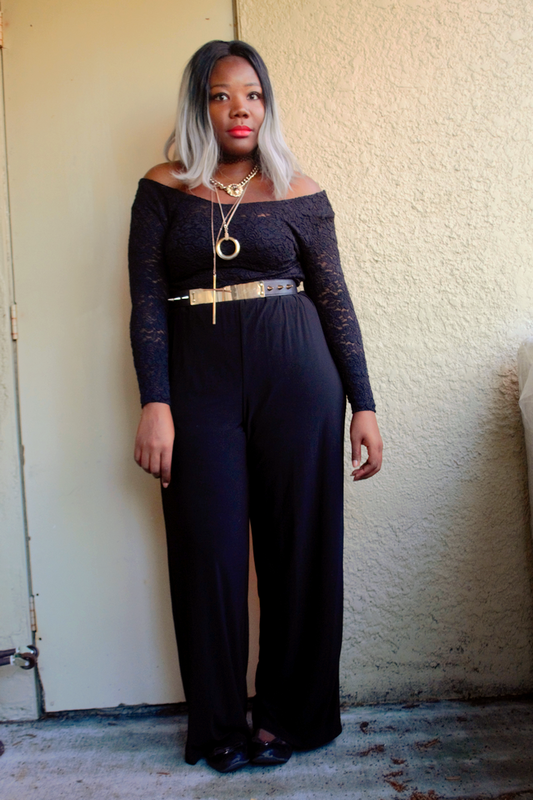 I've had this jumpsuit for some months but never got a chance to feature it in here. The top part is actually white and here I wore it as pants only. 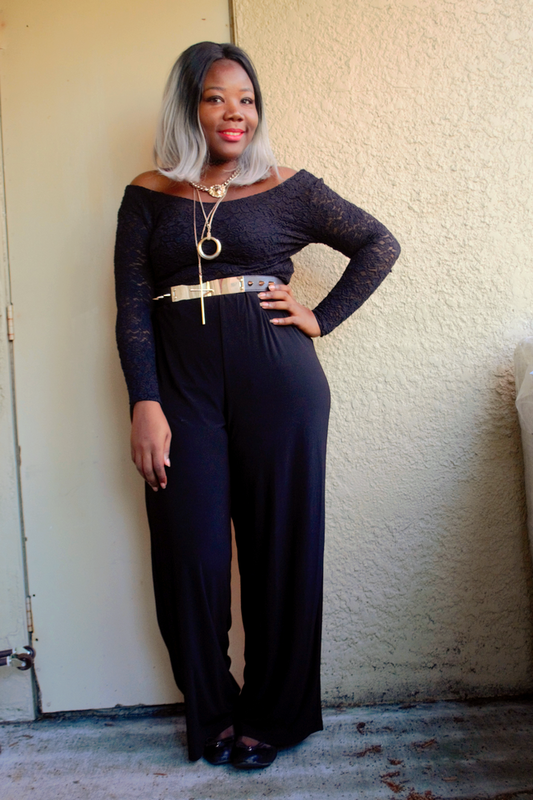 I paired it with this lace top because I wanted an all black look. Retour a la tenue, j'ai toujours pense que je n'allais pas reussir a ressembler a qque chose dans un pantalon large mais certaines bloggeuses (comme Grace et Sarah) m'ont fait tomber amoureuse de cette mode et j'ai voulu reessayer. Ca fait quelques mois que j'ai cette combi mais je n'ai jamais eu l'occasion de le porter pour le blog. La partie du haut est blanche mais ici je porte la combi juste comme pantalon. Je l'ai porte avec ce haut en dentelle parce que je voulais un look tout noir. The lack of interaction is very discouraging. My number of views per posts has decreased by more than a hundred percent which is very disheartening. The best thing is to keep doing what you love, others would come around to appreciate it. You look great. 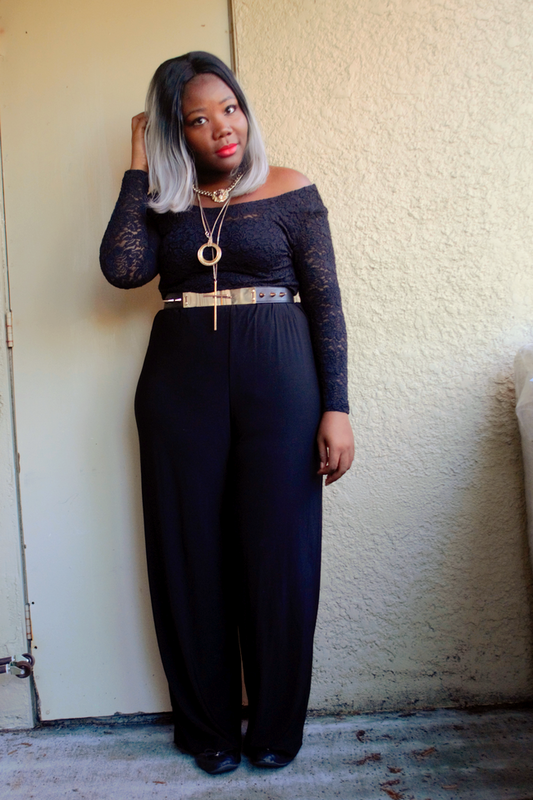 I love the lace top you added to the jumpsuit. Yea you're right... Thank you hun! I'm just here wondering how you tucked in the top part. I think you pulled up the trend, love that you went for a lace top. I'm not a of the flats but I love the belt. As for getting interactions on posts,I have to admit it's what motivates me to blog as well, especially when I get lazy. My advice is to follow new blogs, and use other means publicize, I've been trying that too. 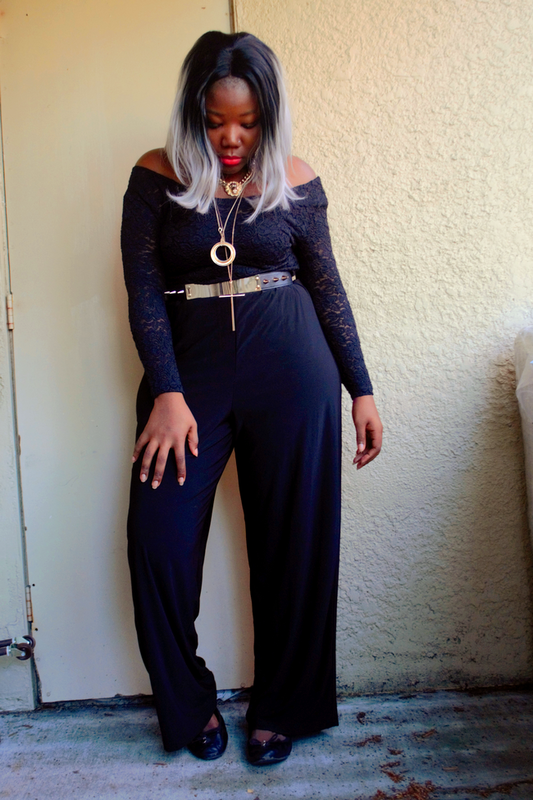 Loving this all black look, the lace adds a touch of texture! I completely understand what you're saying regarding the communication on here nowadays, I don't know if it's that other people are busy with school or what lol. One can check the stats on a certain blog post and you'd see quite a few views but it seems people no longer bother with commenting. I agree that we do it for fun/as a hobby but I still feel like even a simple comment can play a huge role in encouraging the other. Yes exactly, you get some views but no comment, sometimes it's discouraging but yes we gotta get through this phase I guess. Thank you hun, I'm back indeed :D And I do want more wide pants!! Je te comprends, ce n'est pas facile. Il y'a des jours où la motivation nous manquent mais il ne faut rien lâcher ! Tu as un style bien à toi et il est top ! Oui oui c'est vrai c'est pas facile mais ca va aller. Merci beaucoup!